Specially formulated beverage with enhanced bioavailability of soy nutrients helping to improve direct absorption to systemic circulation. 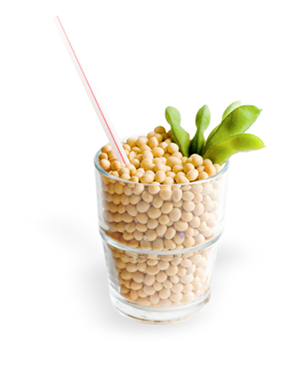 Q-CAN® Plus is a fermented soybean beverage Made with real USDA certified Organic Soybeans and manufactured from whole, non-genetically modified soybeans. The Production process involves a proprietary microbial fermentation process that break down the beneficial soybean nutrients into bioavailable compounds that are able to be assimilated into the blood and tissues resulting in health benefits at a cellular level. Rich in amino acids, trace elements, and branched-chain fatty acids. Q-CAN® Plus Plus offer a wide-ranging nutrient diversity and a larger percent of bio-available isoflavones including Genistein and Daidzein.